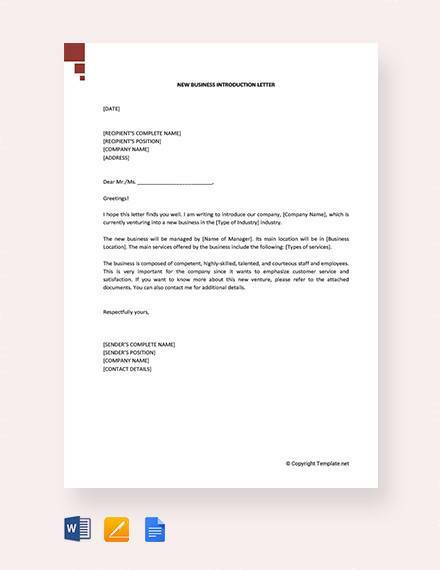 Whether you’re a start-up business seeking to make connections or are an already established business and found yourself attracted to another company with whom you wish to form some sort of affiliation, business introduction letters are the answer. 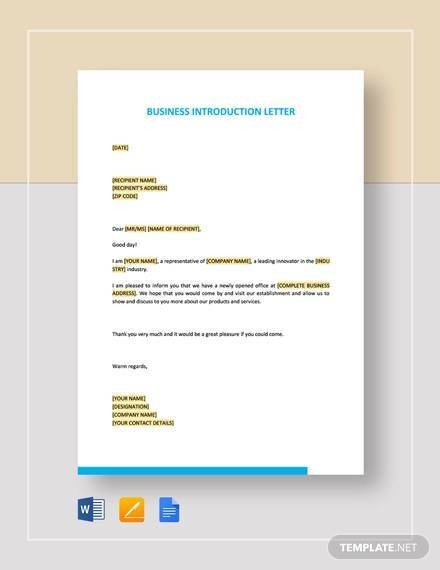 Business introduction letters are written to, well, introduce a business. 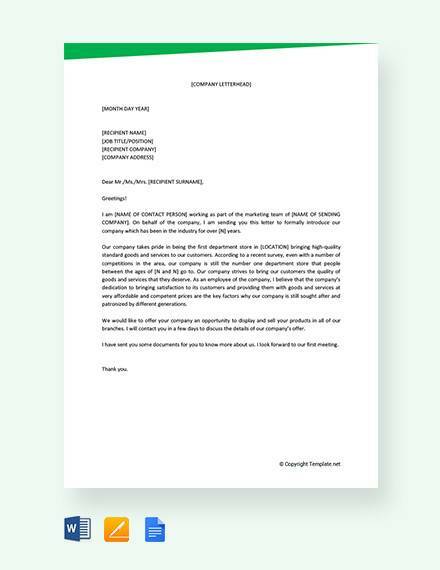 The goal of a business letter is to make the reader curious and interested in knowing more about your business and to attract them as a partner or an investor. 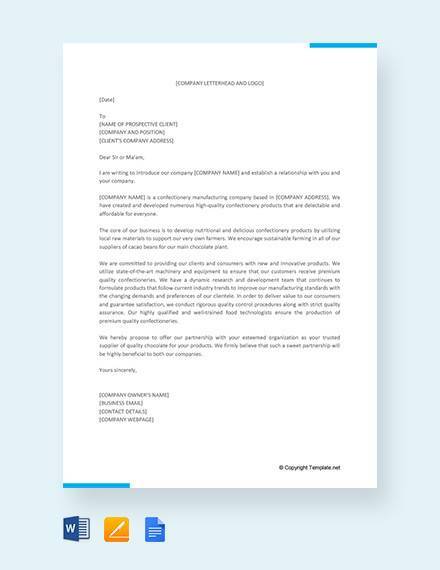 A business introduction letter is the one chance you have to make a great impression on the reader’s company, so it is highly important to make sure that your letter is anything but sloppy and a drag. 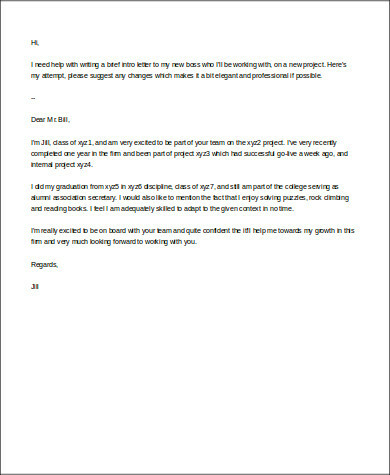 Take a look at these Sample Letters and guidelines on composing an impressive introduction letter. 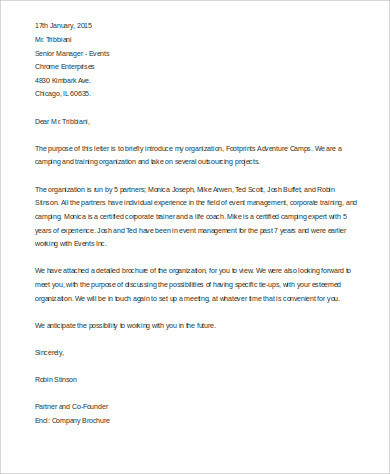 companies who want to expand their businesses write letters of introduction to potential distributors so they could find new outlets for their products. 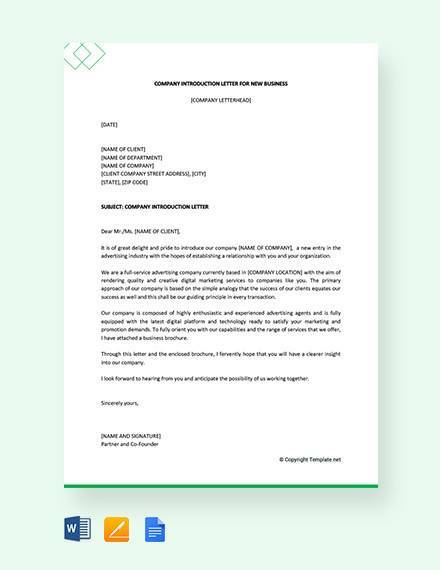 Letterheads are especially important in an introduction letter as it includes your company logo, name, contact information, and location. 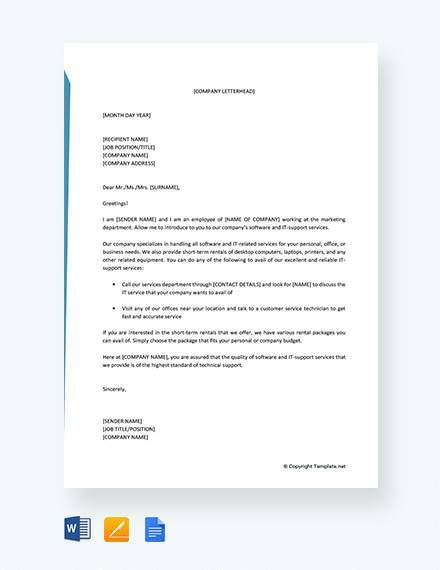 It is essential to include your recipient’s full name and other essential details as you are trying to build a connection and it would be difficult to do this if you write the letter to a general somebody. Call the company to gather all the information you need. The introduction and body of the letter is where you find the point of the letter. This is where the you write the purpose of your writing and the details of your point. 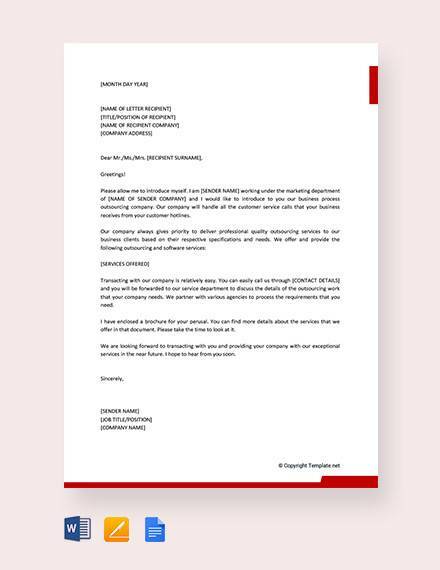 Although most business letters should be short and direct, a business introduction letter must include all details necessary. Closing salutations are written toward the end of the letter. 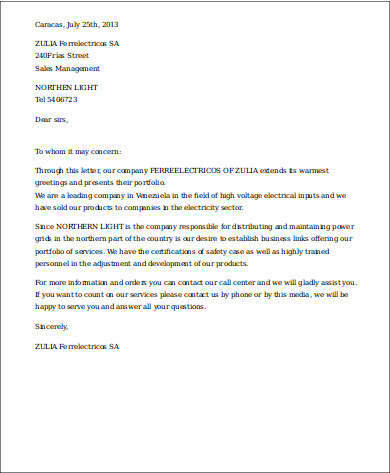 Make sure to handwrite your signature as to show personalization and effort put into the letter. 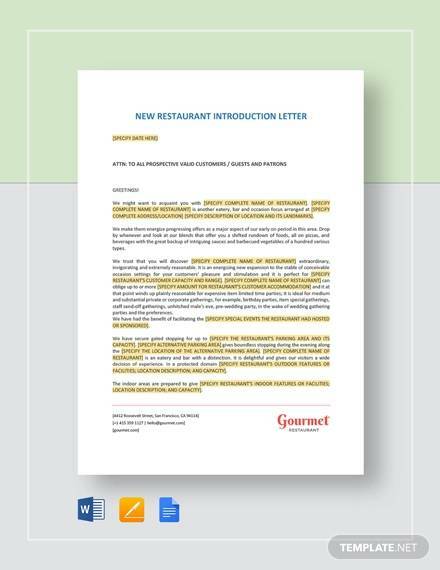 Download these Sample Business Introduction Letters to use as a guide for writing your business introduction letter. Let the way you write your letter be the proof of who you are as a business person. Write conversationally as you are seeking to make a “friend” in the industry but at the same time, make sure to maintain professionalism. Only include necessary details. Be considerate and don’t eat up too much of the recipient’s time as they are probably very busy. Make sure you include only important details, but also make sure you include all the important details. Make sure to mention why you’re writing. If your purpose is to form a partnership, tell the recipient so as they might dismiss your letter as a sort of advertisement. End the letter with a call to action. 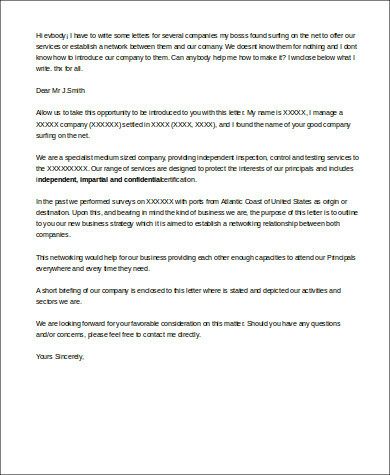 Also see these Sample Introduction Letters for more guidelines and similar templates.